Welcome to Dharmesh Food Company website.We search the world for the top growing regions for each type of dried fruit � from Almond, Pistachio, Walnut, Dry Figs, Dry Apricot & Black Raisin. The highest quality driedfruit is picked at its peak of juicy ripeness, then carefully packed and sent to our farms in California. 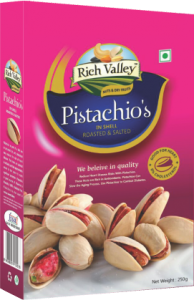 You're sure to love the taste of Rich Valley dried fruit. 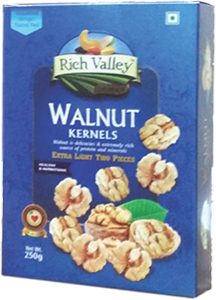 Rich Valley World Delights dried fruit gift, finest quality with elegant presentations that reflect well on your company. Our healthy, delicious, all-natural dried fruits fit more diets than many other food choices today. Our unsulphered dried fruit ships well without needing rush shipping or refrigeration so your gift always arrives in good condition. Every success story starts with a big dream, a vision to fulfill the aspirations and needs of the common man and to create a brand that can become a household name. The story of Dharmesh Food Company is itself a wonderful narrative that mesmerizes all and sundry. Now, known as a well reputed global diversified company, its fascinating journey began in the year 2006. Gradually we cemented our position and in this endeavor Mr Dharmesh Pariyani, the promoter, with over 10 years of business experience, guided us to earn a place not only in the globally competitive market but in the hearts of millions of consumers, clients and various associates as well. 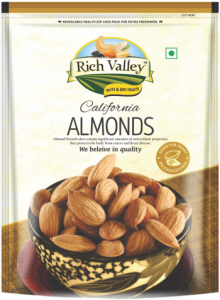 Almonds have been prized since ancient times as one of humankind's most beloved nuts. They were popular in the diets of ancient Egyptians and Indian populations. Ancient Indian Ayurvedic practitioners even believed that almonds were capable of increasing brain capacity, intellectual ability and longevity. Almonds may be eaten on their own, raw, or toasted; they are available sliced, flaked, slivered, as flour, oil, butter, or almond milk. 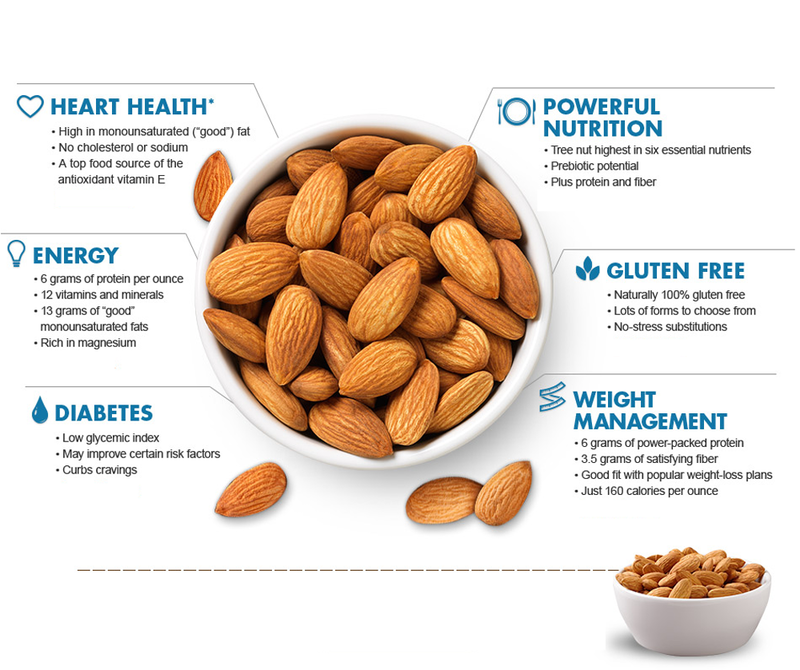 The health benefits of almonds have been documented for centuries, and modern research is backing up many of these claims - there any many goods reasons for people to include them in their diet.